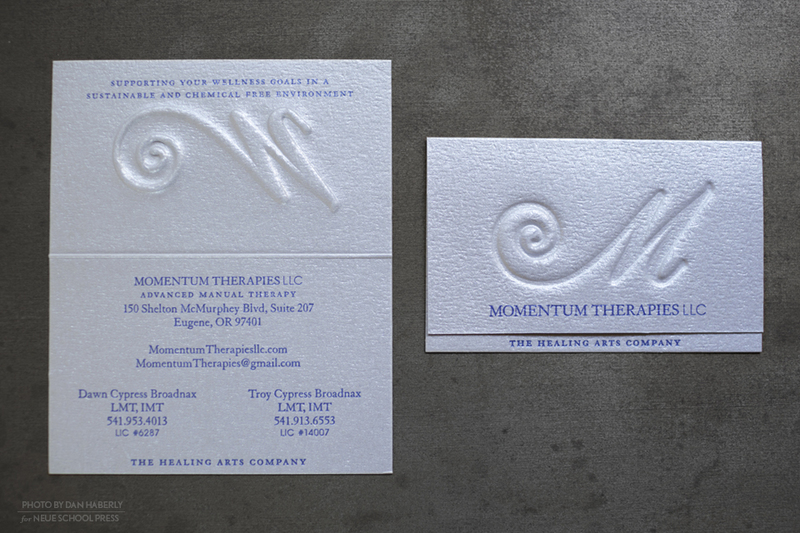 Momentum Therapies provides an extremely specialized type of (manual therapy) bodywork and sought a business card to represent it. 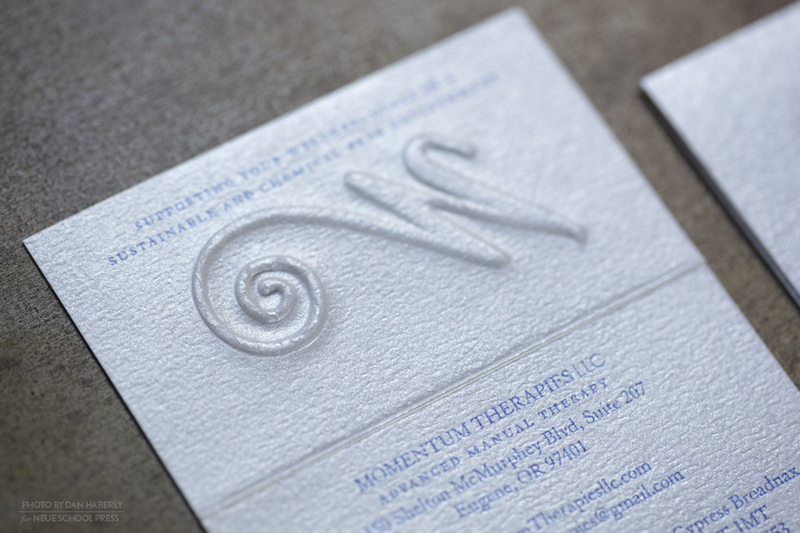 The paper choice, with its deep rich texture, lustrous sheen and vibrant energy was a perfect surface pairing for their services. 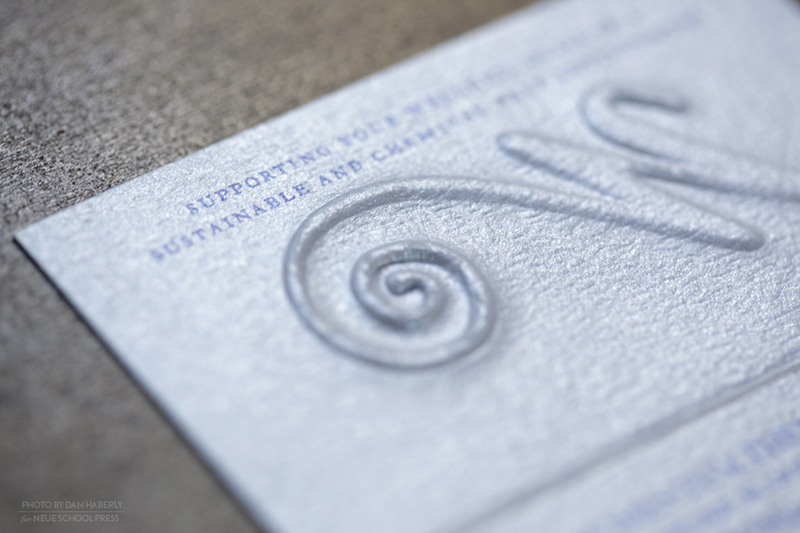 It is also FSC certified, acid and chlorine free, and contains no metals or foils–an environmentally conscience choice, which was also important. 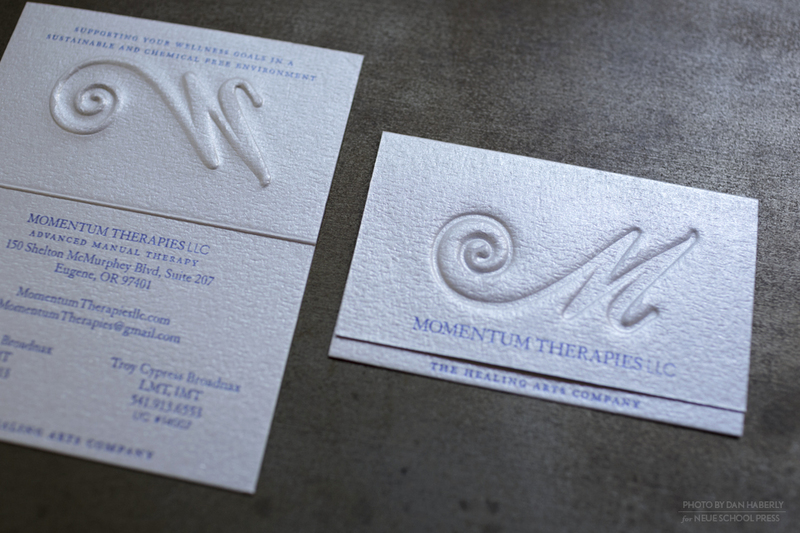 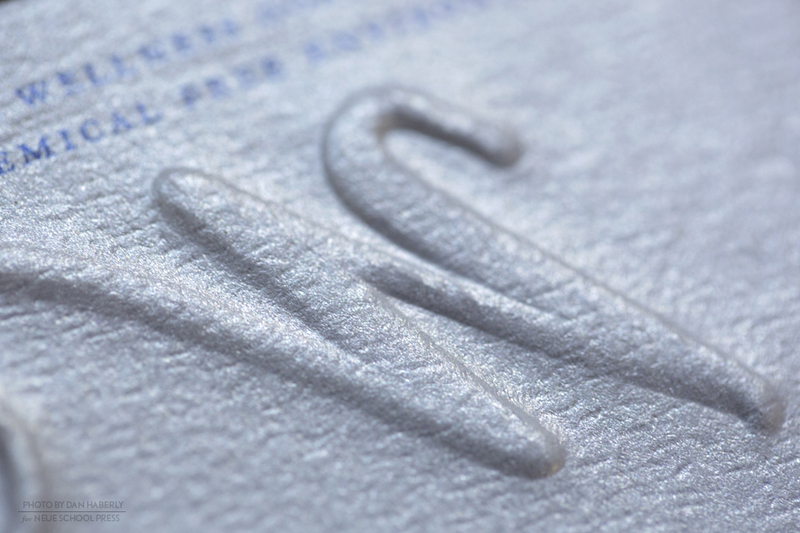 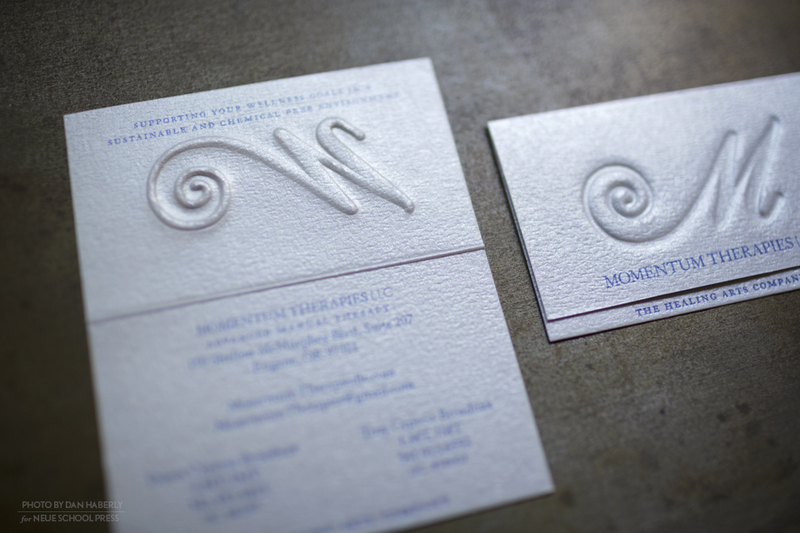 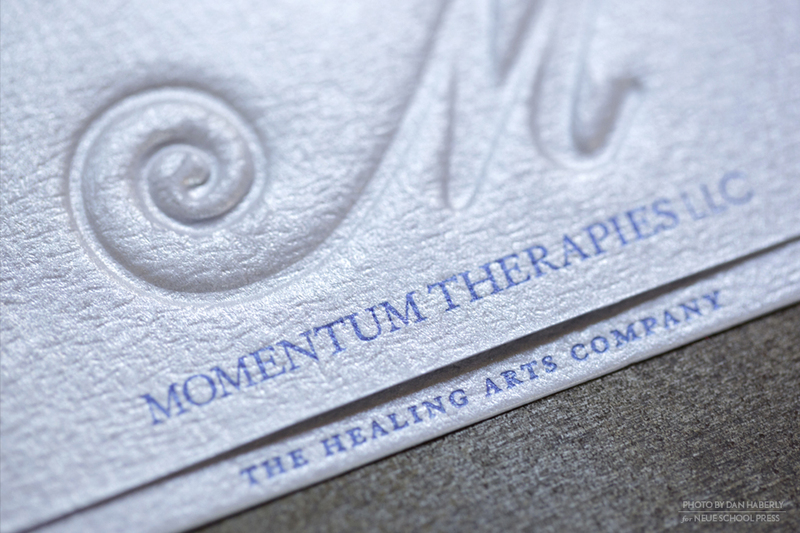 The existing Momentum Therapies logo was deeply embossed into a slightly oversized, folded, tabbed card. 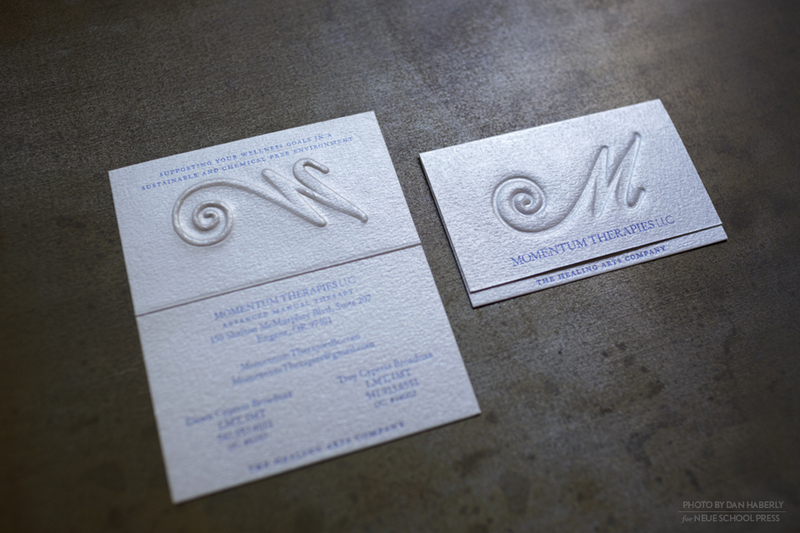 The details were printed in blue on both sides. 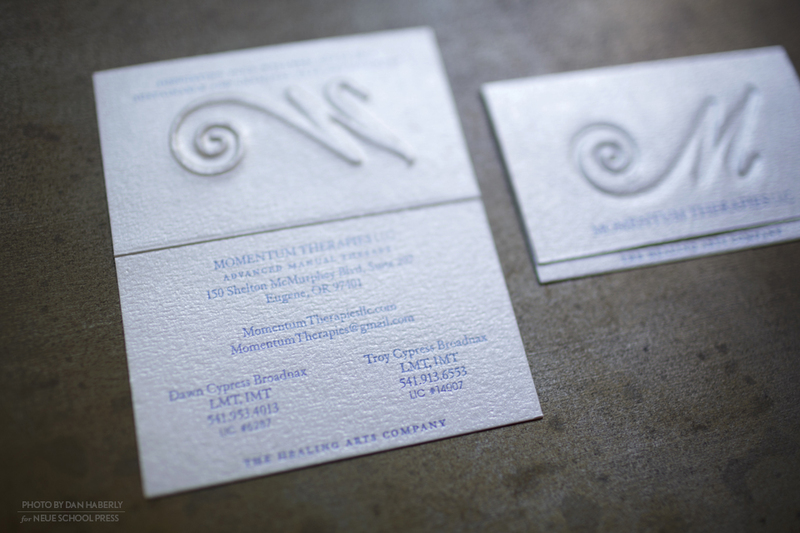 The shared card provides contact information for both partners/therapists in one place.